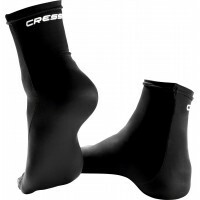 De Cressi Lui 2.5mm Wetsuit is een 2.5mm neopreen zomer pak. De Lui is voorzien van een front rits en verdikte seal op de enkels en polsen om de waterdoorstroming tot een minimum te beperken.Ergens anders in NL goedkoper gezien? 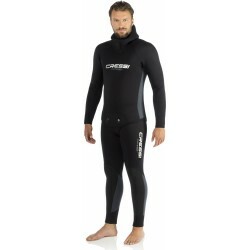 Cressi Morea Man 3mm Wetsuit de all-in-one voor de gematigde wateren, hoodless, met lange mouwen en broek, gemaakt van 3mm dik neopreen.Ergens anders in NL goedkoper gezien? 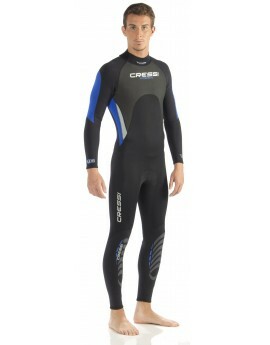 Cressi Free Man Wetsuit 3.5mm high end suit that incorporates a large number of solutions. Medium density neoprene to limit the buoyancy variation during descent.Ergens anders in NL goedkoper gezien? 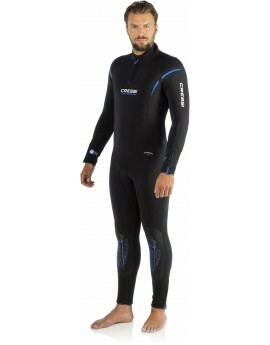 The new Cressi Medas Man 5mm Wetsuit is the classic 5 mm universal wetsuit that is not only suitable for dives in mild waters but can also be used in cold waters when used with an under-suit.Ergens anders in NL goedkoper gezien? 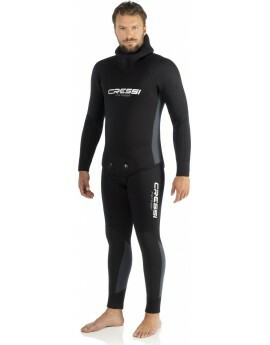 Cressi Fisterra Complete 8mm Wetsuits this model was born of the needs of professional divers in cold waters. It is a durable combination, very watertight with increased insulation.Ergens anders in NL goedkoper gezien? 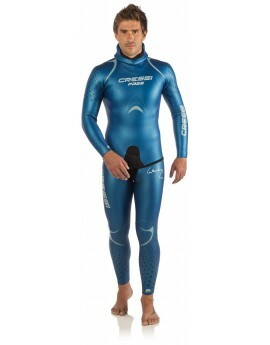 Cressi Fisterra Complete 5mm Wetsuit this model was born of the needs of professional divers in cold waters. It is a durable combination, very watertight with increased insulation.Ergens anders in NL goedkoper gezien? 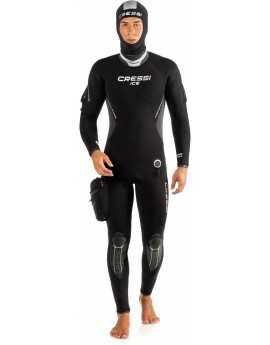 Cressi Facile Man 7mm Wetsuit with attached hood for cold water. The suit is characterized by the water stop system whereby a particular bib inside creates a double barrier against water infiltration and improves thermal insulation.Ergens anders in NL goedkoper gezien? 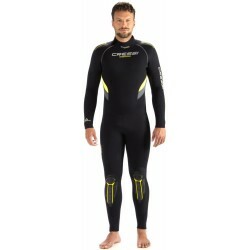 The Cressi Castoro Man 5mm Wetsuit this in double-lined neoprene is available in men and women’s versions and is made up of a one-piece, a jacket and a hood which can all be purchased separately.Ergens anders in NL goedkoper gezien? 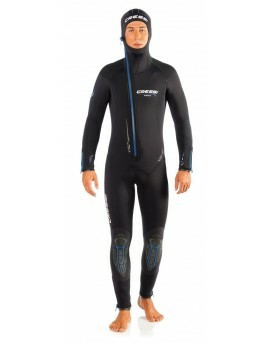 Cressi Lontra Plus Man 7mm Wetsuit one-piece suit for temperate and cold water. The 7-mm Ultraspan neoprene with Eliofl ex interior improves elasticity and thermal power.Ergens anders in NL goedkoper gezien? 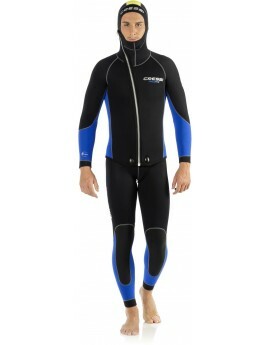 Cressi Ice Man 7mm Wetsuit one-piece 7 mm semi-dry suit for cold water. Very easy to wear thanks to special outer ELASTIC SPAN cover and internal ELASTIC PLUSH lining.Ergens anders in NL goedkoper gezien?